Coworkers sometimes become closer than family, in part because of the amount of time spent together. Few people—even in your family—spend as much time with you as those with whom you work. Sharing an office or working for many years on common projects can weld people together as friends as well as work associates. When this happens, losing a coworker can be deeply affecting. The grief of losing a friend also can be profound. Because we choose friends, these people become our greatest confidants, supporters and cheerleaders. For most people, the death of a close friend leaves a giant hole in the heart. Make sure to stay connected to supportive people. 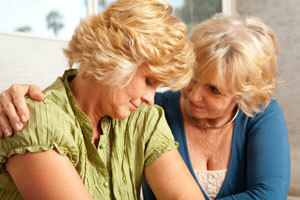 Family members, work associates and other friends can be enormously supportive in the experience of grief. But remember that some people do not understand the significance of non-family attachments and might wonder just why this loss is such "a big deal." Well-meaning people sometimes don't comprehend the significance of a friend, coworker or sibling's death, contributing to even greater isolation for the bereaved person. Click here to download a copy of our brochure, Twelve Ways to Help a Grieving Friend.